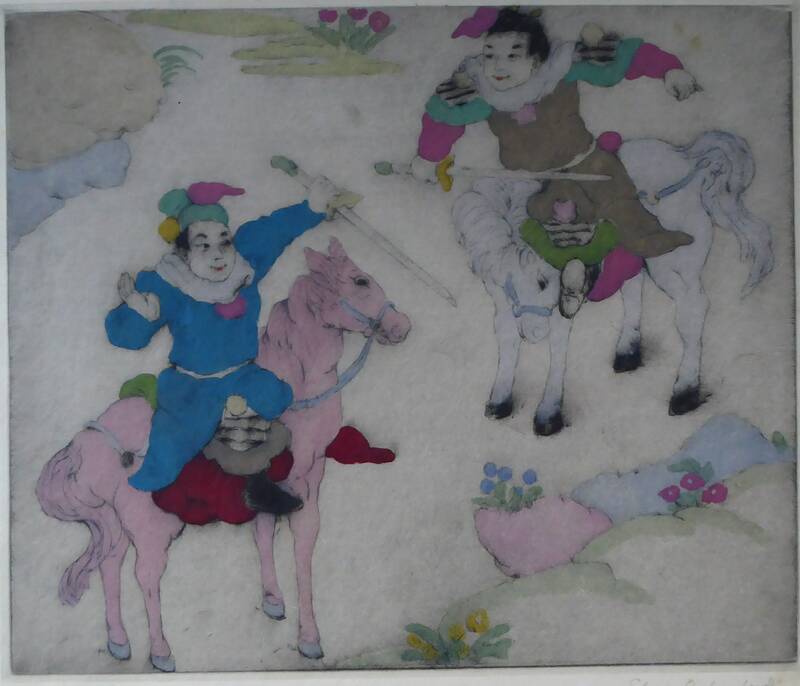 This a beautiful colour woodcut etching by Elyse Ashe-Lord (1900-1971) depicting two comical Chinese warriors on horseback. Her use of colours in the woodcut are certainly most unusual and very attractive. 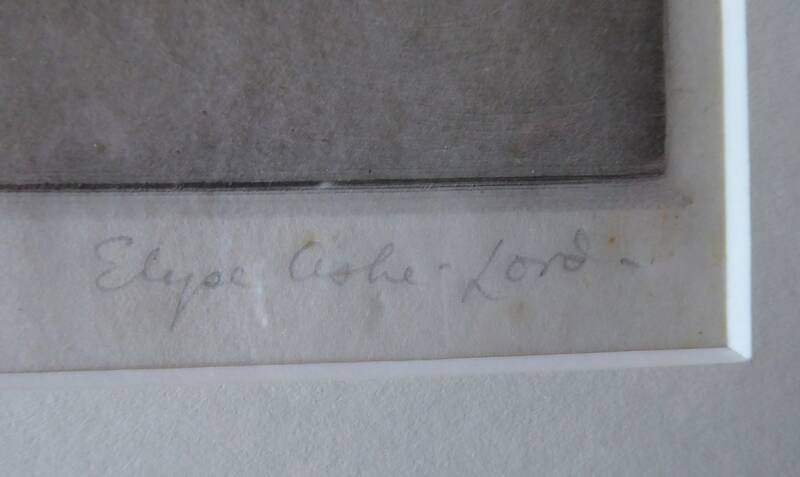 The etching is signed and inscribed in pencil by the artist, as photographed. 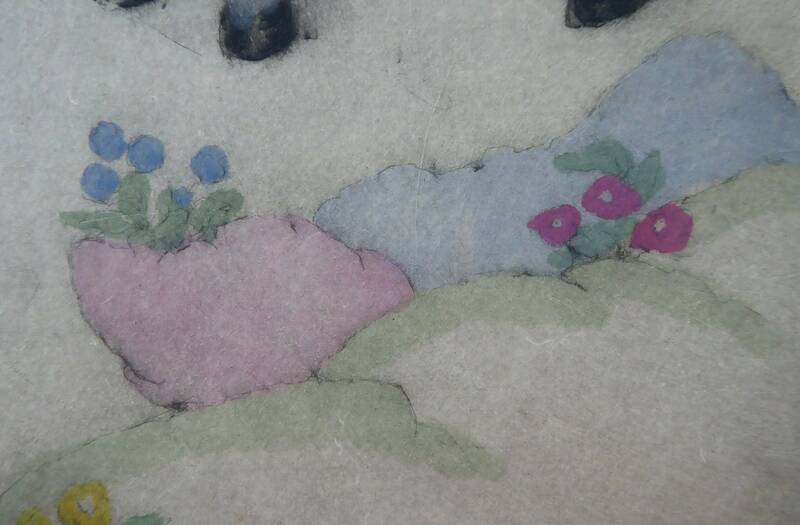 It comes from a series of delicate drypoint etchings which were all made by Ashe-Lord in the 30s. She specialised in these delicate drypoint etchings, all delineated with a very fine line. 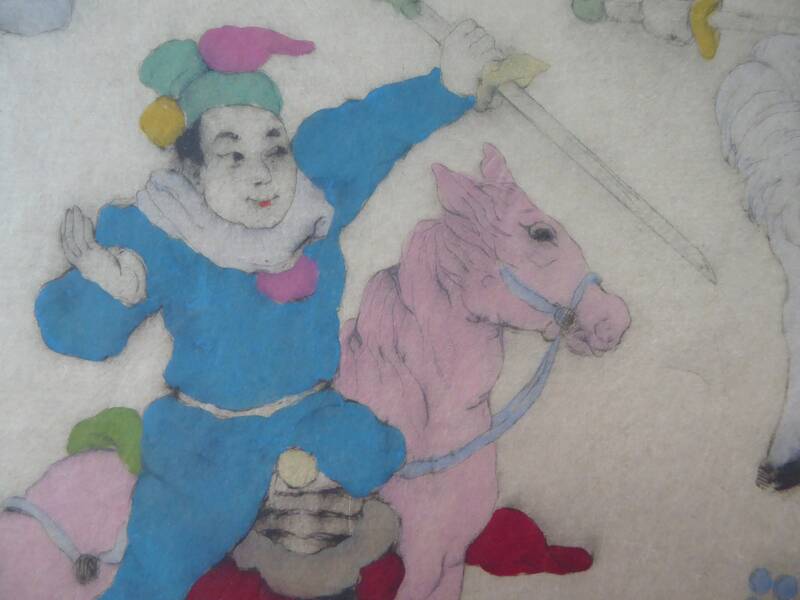 The artist developed her unique style exclusively around oriental subject matter, and her art was inspired by both Chinese art and various aspects of oriental culture. 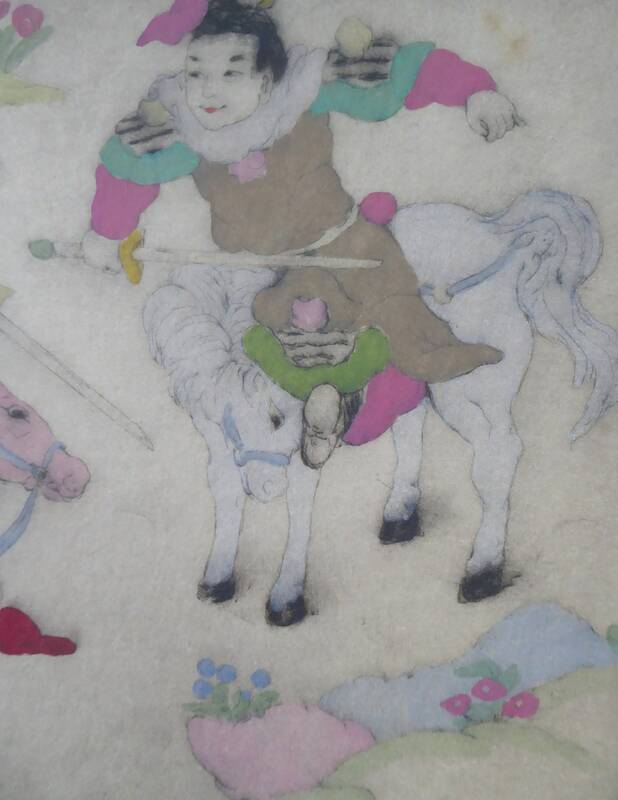 Although Lord never actually travelled to China, she used Chinese paintings, embroideries and wall hangings, together with objects from surrounding Eastern countries, as the inspiration for her exotic images. She used a very individual technique with all her prints. She would draw the outline in drypoint etching which would form a "key block". The colours would then be added by using multiple wood blocks coated in vivid coloured inks. It was a difficult process to master and Elyse Lord would always supervise this difficult process of printing her plates and blocks, in person. Elyse Ashe-Lord exhibited from 1915 through to 1939 with the celebrated Lefevre Gallery in London, and had her work published under the auspices of the great London dealer, Alexander Reid. 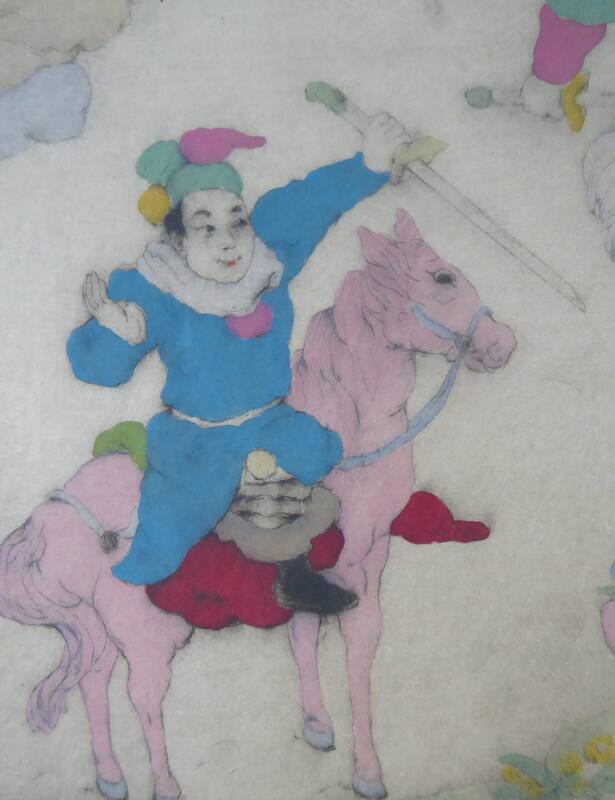 Although the artist never actually travelled to China, she used Chinese paintings, embroideries and wall hangings, together with objects from surrounding Eastern countries, as the sources for her images. The highly individual style which Elyse Lord created reflects both this source material and the influences of Art Deco and early 1920’s fashion. 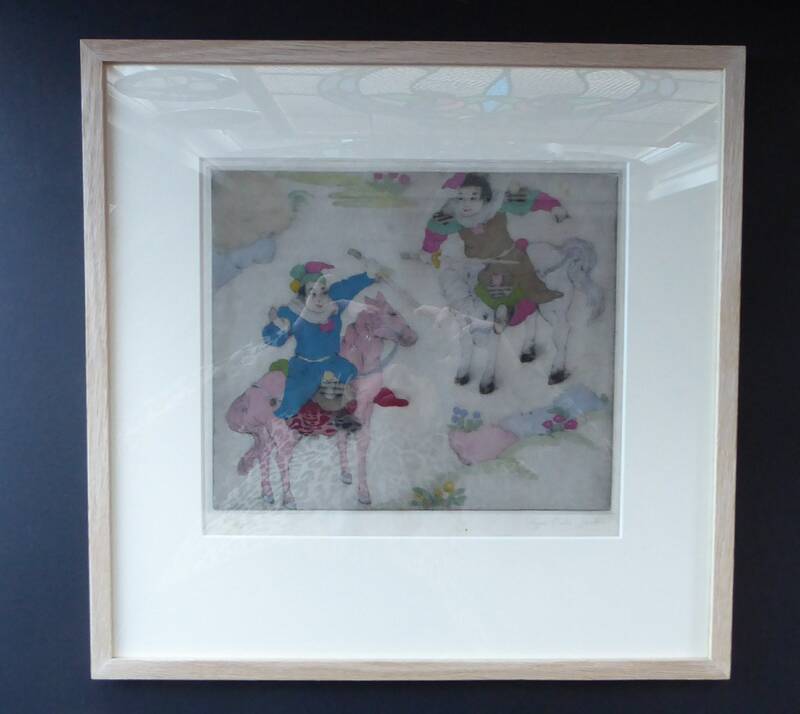 The etching is in lovely condition, and printed on a very fine Oriental paper much favoured by Lord. It is in excellent condition and all the applied colours are still nice and fresh. There are little areas of spotting which is light and mainly confined to the margins - but nothing major and not distracting from the image in any way. 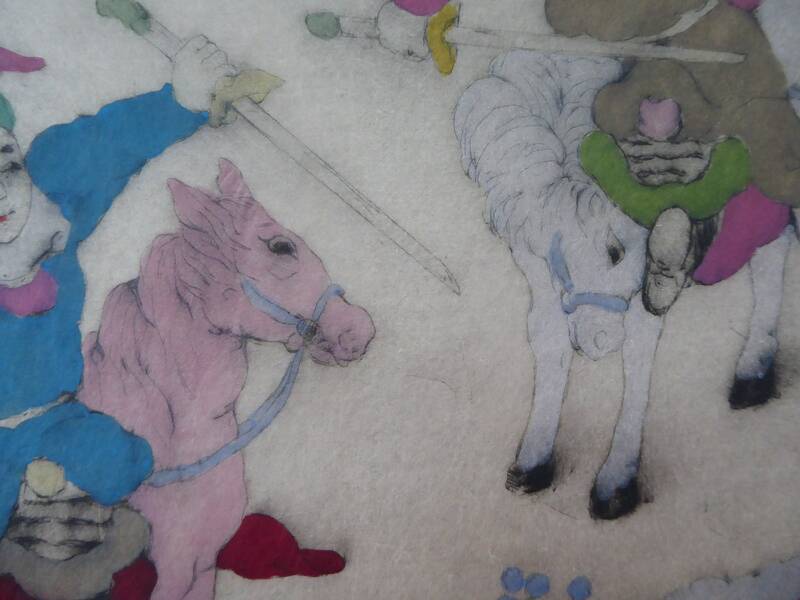 This is taken into account with my price on this beautiful and most collectable vintage print. 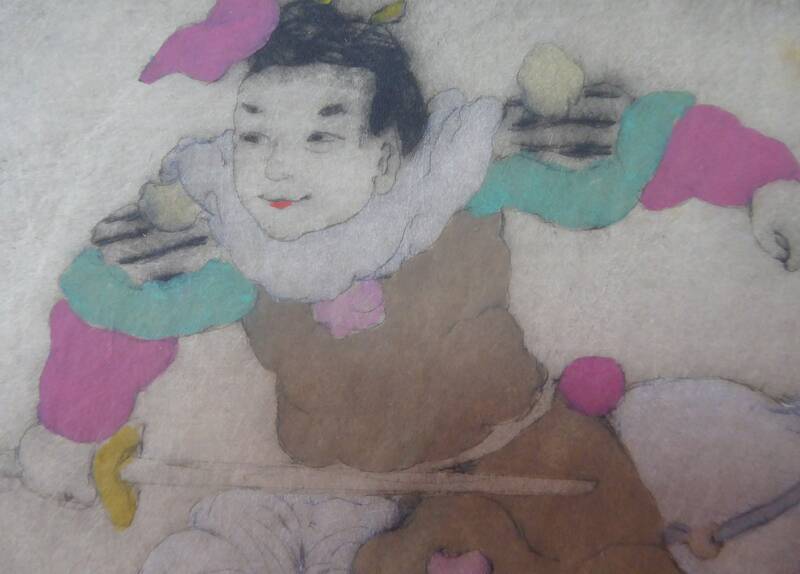 It is printed on very fine and delicate Japan paper. It is number 25 out of an edition of only 75 prints, and although not dated by the artist, must date to around 1935. Dimensions of the image are 23 x 26 cm. The print is being sold framed with new fresh window mount - no condition issues and ready to hang on your wall. 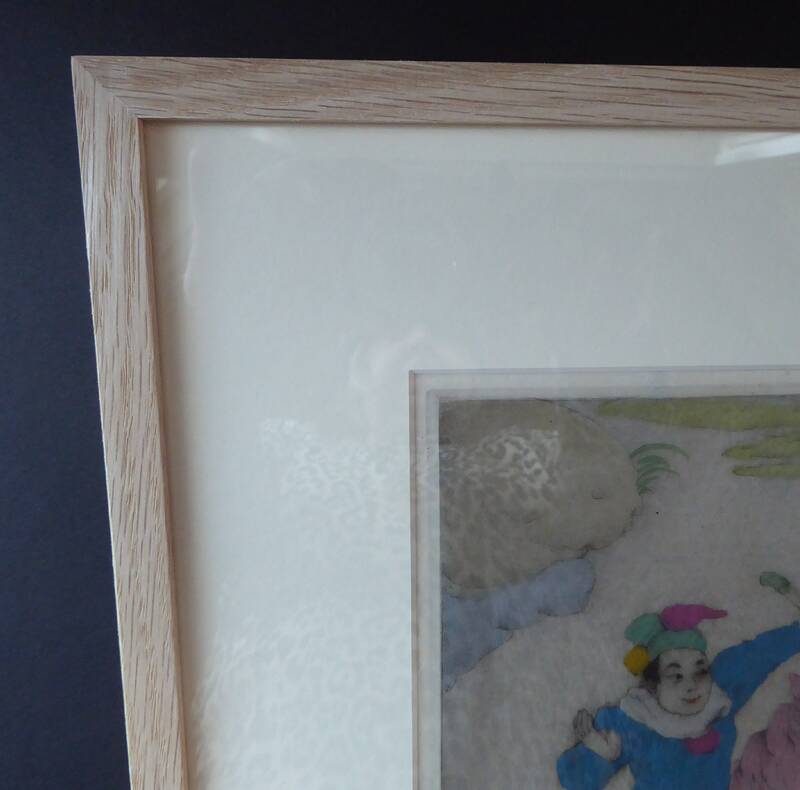 The frame is a simple oak frame which would look good in any interior setting.